Co-host Mary Sanders and David discuss Green Party presidential nominee Jill Stein challenging former vice president Al Gore to support ranked choice voting. The hosts also talk about the Dakota Access pipeline company's brutal attack on peaceful Native American protesters, and Colin Kaepernick's national anthem protest. 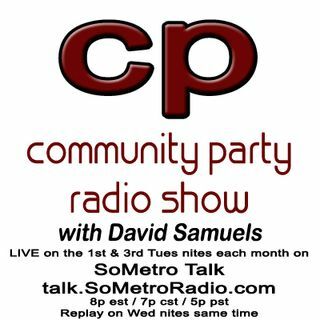 Hear COMMUNITY PARTY RADIO Tuesday and Wednesday nights at 8p est | 7p cst | 5p pst on the GET GLOBAL NETWORK internet station SoMetro Radio.